The latest in the Aquajets backstroke lineage Isabelle Stadden (above) will be accompanied by her coach Kate Lundsten to the 2018 Jr. Pan Pac Championships. 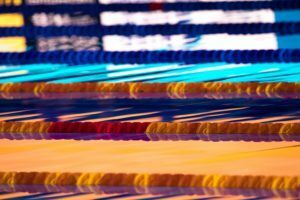 After announcing the final athletes list last week, USA Swimming on Wednesday revealed the complete roster that includes assistant coaches and support staff for the 2018 Jr. Pan Pacific Swimming Championships. See the full athlete roster here. 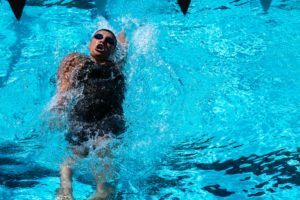 While neither head coach, Allison Beebe of Santa Clara SC or Dan Flack of Baylor SC, put an athlete on this year’s team, each assistant has a swimmer on the roster. For Jay Friend, that’s Katherine Berkoff, daughter of 4-time Olympic medalist David Berkoff. 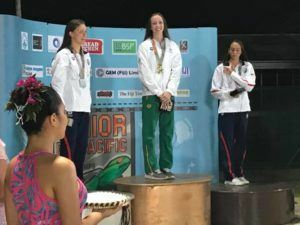 Kate Lundsten, who was the head coach of the women’s team at the 2017 World Junior Championships, will serve as an assistant on this year’s Jr. Pan Pacs staff, accompanying her swimmer Isabella Stadden, who is another backstroker like Katherine Berkoff. Stadden finished 3rd at Nationals in the 200 back in 2:08.24, placing behind only the tie between Kathleen Baker and fellow Minnesotan high schooler Regan Smith. That makes her the highest-placing finisher on the women’s team. Norm Wright from the Northern Kentucky Clippers rounds out the staff, accompanying Mariah Denigan, who finished 6th in the 800 free at Nationals (8:28.15) as the fastest swimmer out of the afternoon heats, and 10th in the 400 IM (4:40.62). Assisting Flack on the men’s staff will be Billy Doughty, head coach of DART Swimming and specifically Gianluca Urlando, who was the biggest junior revelation of US Nationals. 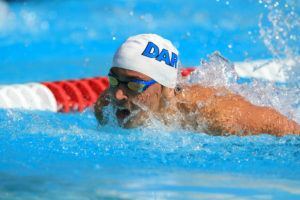 Initially on the senior Pan Pacs team due to a USA Swimming calculation error, he was eventually bumped from the roster in spite of placing 3rd in the 200 fly. His consolation prize, however, is a trip to Jr. Pan Pacs, where he’ll get to race with his coach on-deck to support him. 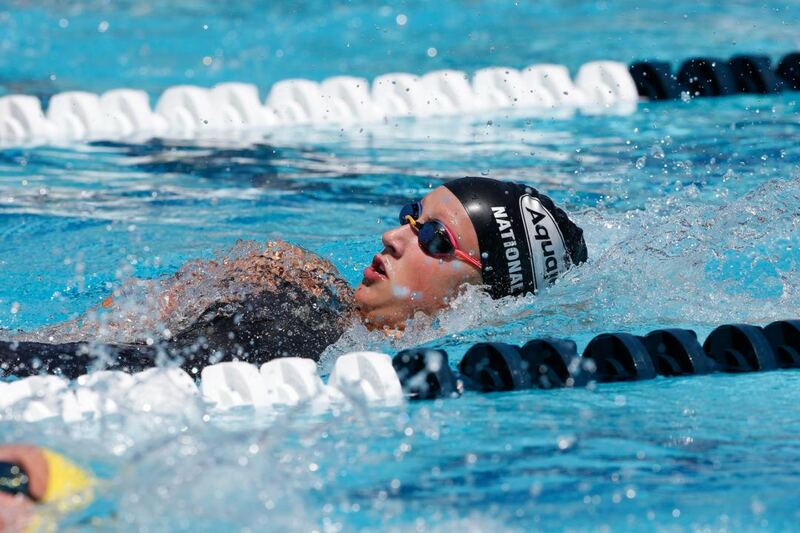 Sarah Holman from SwimMAC Carolina is the group coach for Tim Connery in Charlotte. Connery’s best finish at Nationals was 21st in the 200 IM. The men’s-team staff is rounded out by Chris Plumb of the Carmel Swim Club, who is the coach for Drew Kibler, who swam in a pair of B Finals at US Nationals. The managers will be Dale Porter from Bolles and Kristyn Deckard from North Coast Aquatics, while the team physician will be University of Washington sports medicine specialist Dr. Brian Krabak, who has both an M.D. and an M.B.A. He specializes his work in endurance athletes, like swimmers, runners, cyclists, and triathletes, and has served on several international staffs both within USA Swimming and in other sports. That includes 3 Olympic tours. The coaching staff includes 3 women and 5 men, while the overall staff is 4 women and 7 men. Gender balances of U.S. coaching staffs continue to be under scrutiny after naming all-male coaching staffs for both the 2016 Olympic Games and the 2017 World Championships. Go Coach Sarah and Tim!